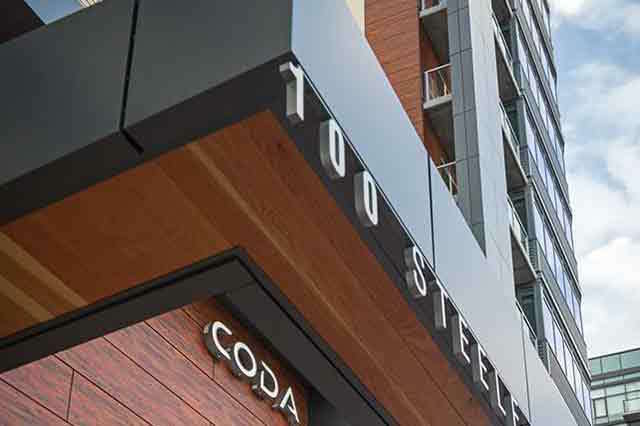 The Coda in Cherry Creek North is LEED-Gold certified. Once again, Zocalo Community Development Inc. has brought home the Gold. 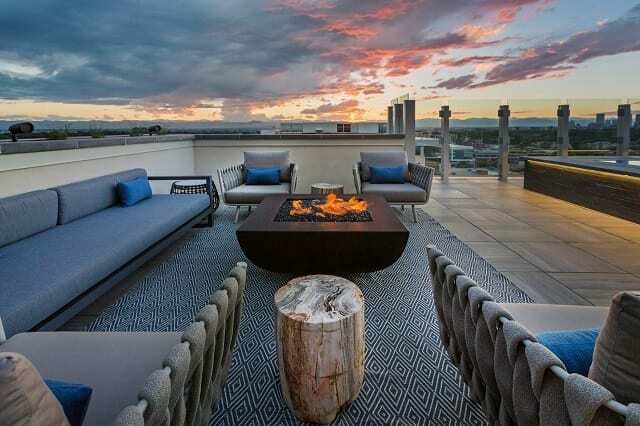 The Denver-based developer’s Coda Apartments in Cherry Creek has been awarded the LEED Gold certification from the U.S. Green Building Council. The 12-story, 185-unit apartment tower opened a year ago at First Avenue and Steele Street. Susan Maxwell stands in front of the Coda, which is a LEED Gold-certified apartment tower in Cherry Creek North. 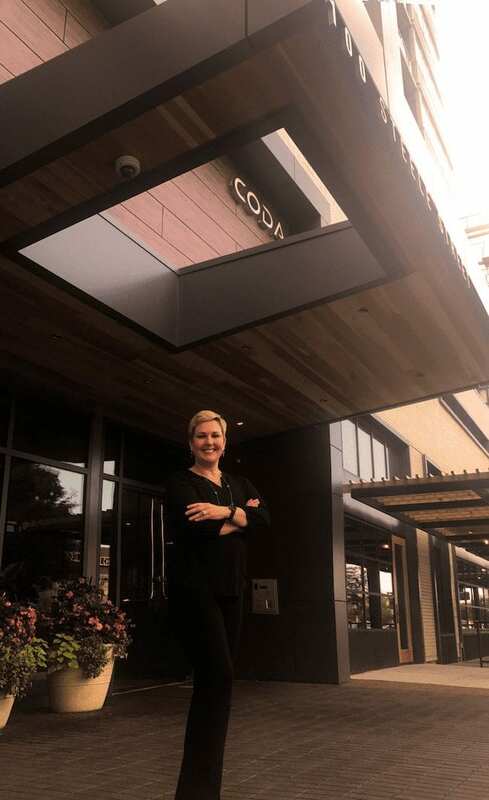 “A carefully considered strategy on community engagement, sustainability and livability directed every aspect of the design, construction and management of Coda,” according to Susan Maxwell, chief operating officer at Zocalo. “Aside from the environmental benefits, residents enjoy a walk score of 91, which allows them to be within walking and biking distance to many of Cherry Creek’s restaurants, retailers, attractions and businesses, and lessens the need for individual vehicle transportation,” Maxwell added. The Coda isn’t Zocalo’s first green rodeo. Sustainability and energy-efficient developments have been core values since Zocalo was founded by David Zucker a dozen years ago. The company walks the green walk. Saved 15.7 million gallons of water, enough for 783,052 showers. Being green doesn’t mean ugly, as the rooftop deck of Coda shows. 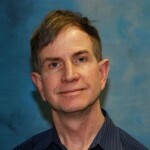 Maxwell recently answered questions for me on Zocalo’s commitment to green building. Rebchook: Susan, the U.S. Green Building Council ranked Colorado No. 2 in the nation for the number of LEED-certified buildings in the U.S. in 2016, up from No. 5 in 2015. What do you think that says about the commitment to sustainable development in Denver? Maxwell: Since 2010, Colorado is one of only two states that has consistently made the USGBC top 10 list for LEED-certified buildings per-capita gross square feet. This would indicate Colorado has a long-standing, strong commitment to the environment and shows the remarkable growth the state has incurred over the last year. Rebchook: How much extra money does it take to bring home the Gold, and why is it worth it at an apartment community such as the Coda? Maxwell: The increase in incremental cost is just about 1 percent to develop a LEED building. Our experience is that the investment return is significantly greater as compared to non-LEED buildings. There are many reasons it is worth the investment, not the least of which is a healthier, smarter, more cost-efficient building for the long-term owner and resident. Rebchook: When Zocalo began developing LEED-certified buildings, it was a pioneer in developing energy-efficient and sustainably built buildings. Today, it is far more typical. Are you pleased by the strides made by other developers, or do you feel that Zocalo has lost a bit of distinction now that more developers have followed Zocalo’s lead when it comes to LEED? Maxwell: More investors see the value in the returns and that it is environmentally the right thing to do. While more developers are developing to LEED standards, I believe Zocalo’s ability to market LEED benefits to our resident is unmatched. Each of our team members are trained on LEED Core Concepts with the goal of becoming an expert in how their community achieved LEED. Rebchook: How important is a LEED certification to renters compared with other amenities? 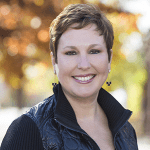 And how important is it to institutional buyers when it comes to selling your communities? Maxwell: Today’s renter is highly educated and understands that living in a LEED building means better-quality construction and lower utility costs. Air quality is one of the most important benefits of LEED. Our residents value a nonsmoking building. Most institutional investors have energy performance metrics and reporting requirements. If the building is LEED-certified when it is taken to market, it most likely already meets the requirements. Rebchook: Let’s switch gears. Much has been written about the aesthetics or, more precisely, the lack of aesthetics of many of the new apartment buildings recently have been built or are under construction in Denver. Frankly, many consider them ugly. While Zocalo’s communities appear to have largely escaped the wrath of the critics, the one constituency we have not heard from are the renters themselves. From what you have seen and heard from prospective and current residents, how important is the appearance of the building when they make a decision to rent? Maxwell: Stewardship is the first of Zocalo’s six core values. We build buildings that make communities better. Our intention is to build buildings that enhance and add value to a neighborhood. Apartment residents want to feel good about their home, just like homeowners do. When they bring friends over, they want them to be impressed. From the exterior to the amenity areas and unit finishes, the look and feel of the building is important. They have to like it. From a developer’s perspective, when you hear they love it, you know you got it right.